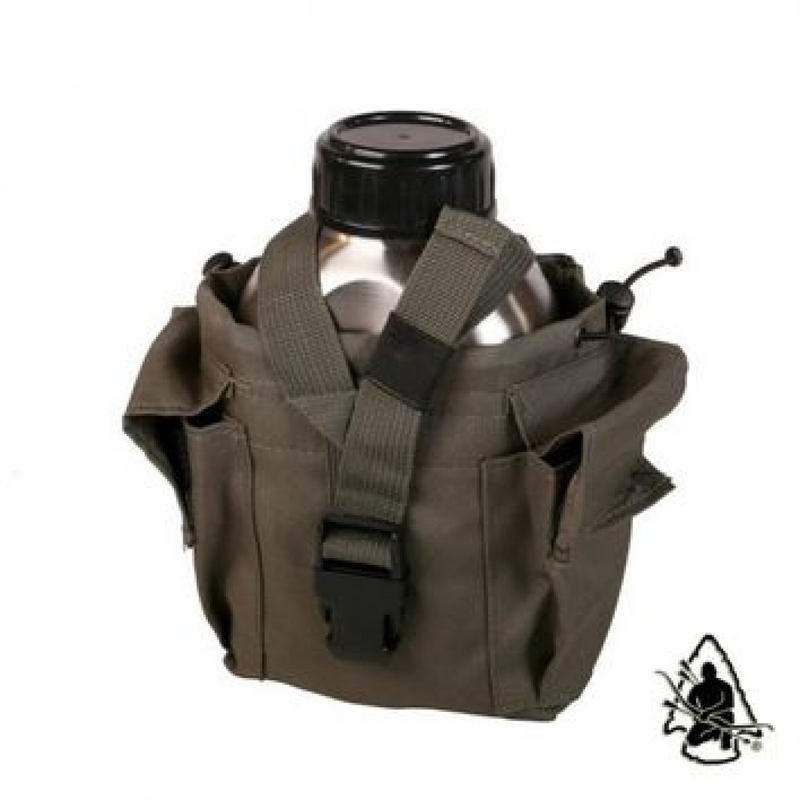 This is a military style set that is designed to cover your bases when it comes to carrying, heating and drinking water. 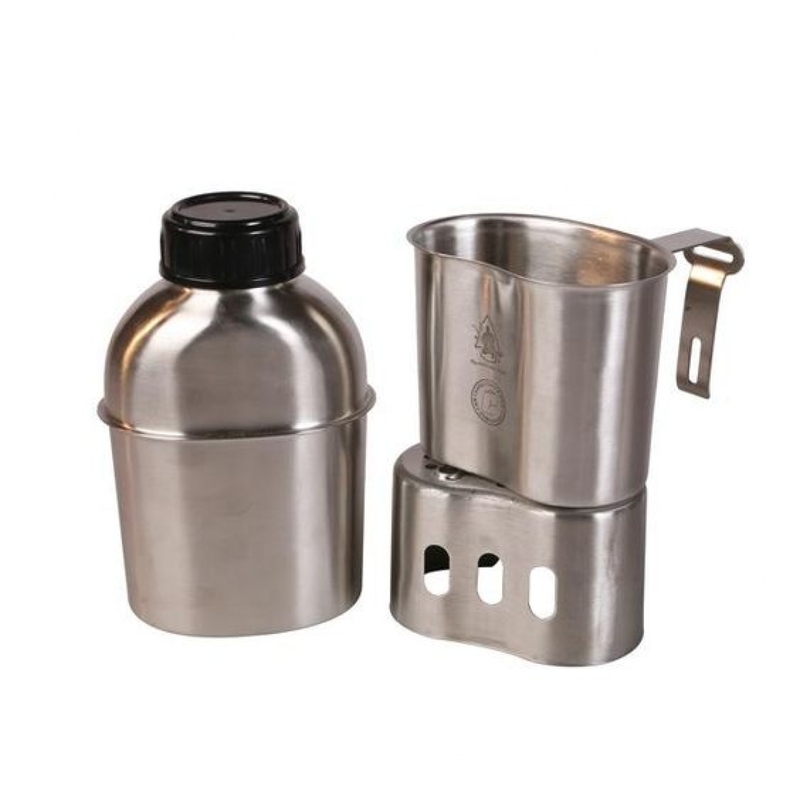 The Pathfinder Wide mouth Military Canteen Cooking Kit was designed so the canteen will nest inside the cup along with the stove for convenient and compact storage. 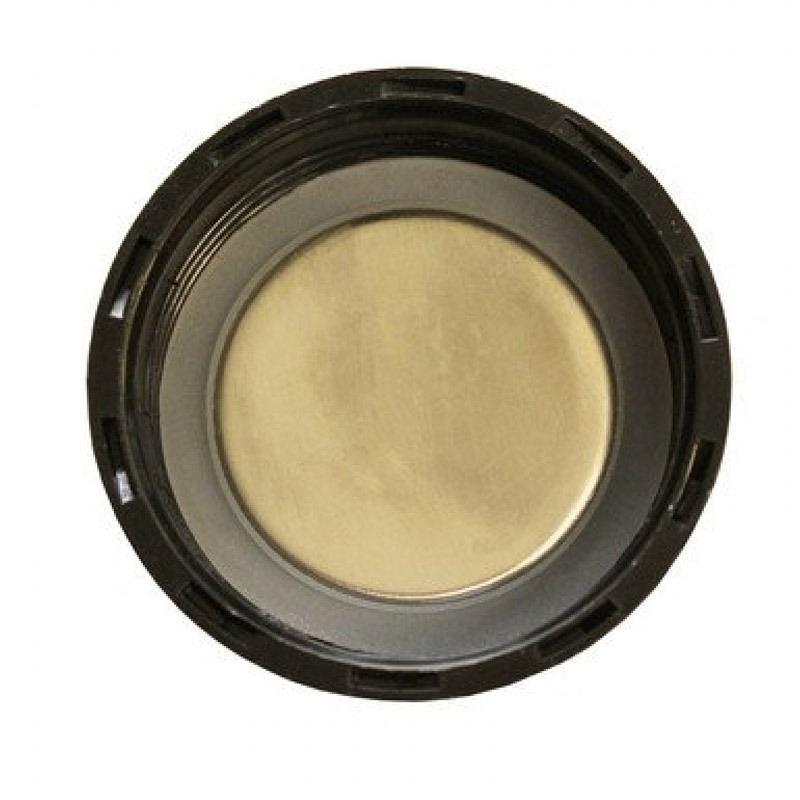 The container being made of stainless steel is designed to withstand direct fire for the purposes of boiling water. 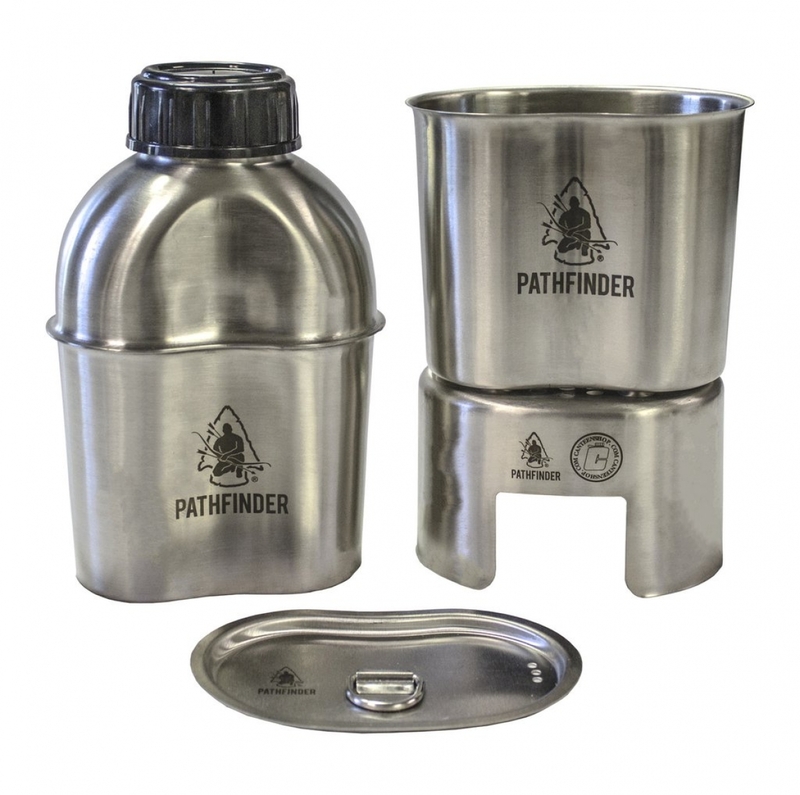 The Pathfinder School has developed the only wide mouth stainless steel military canteen on the market today. The wide mouth canteen design allows you to easily gather water from the shallowest of pools as well as from taps and purification systems. 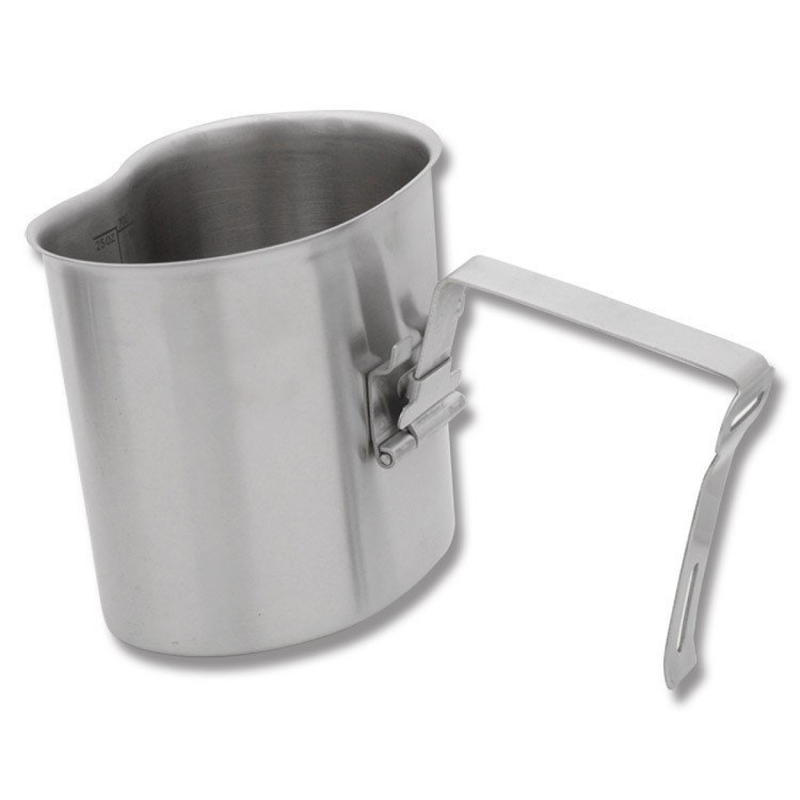 The nesting cup has a foldable handle that securely fastens the stove to the cup when not in use and has measurement graduations on the inside. There is also a lid for the nesting cup that reduces boiling time and also has the ability to strain water when pouring from the cup. The whole set can be stored and carried in a MOLLE compatible green nylon pouch that is supplied, adding to the compactness and usability of this comprehensive set. Very satisfied! Quality product, fast shipping.